If I'm not mistaken every kid likes to eat Popsicles right? Everyone has their favorite flavor which gets eaten up first, but eventually they always seem to disappear in quick fashion. Now if there was some way to get kids to eat all their vegetables the way they eat Popsicle's, it would have to be a million dollar idea parents would certainly love to buy. Hey I know, why don't you make vegetable Popsicle's each with its own unique flavor and sweeten it with natural organic agave nectar? Kids would love the new sweetened treat while getting all the nutrients from eating organically grown veggies made into Popsicle's. Well Theresa Fraijo AKA the Veggie Mama, has not only thought of this very creative way to get kids to eat their veggies, she's already successfully selling them in dozens of retail stores across the country and soon to be in hundreds of Health Food Stores after Shark Tank Episode 506 airs on ABC. Theresa a mother of two and knowing how important veggies are for her growing young children realized combining one thing she knew her kids would eat with one she wished they'd eat more of, was a win/win if they actually liked how her Garden Pops taste. Fraijo's kids loved them and now making sure they are eating enough vegetables is a thing of the past. The Garden Pop Popsicles are not available to order online for obvious reasons, BUT they are available in enough stores that I lost count trying to count them all. Most of the retail stores carrying Veggie Mama is the Sprouts Farmers Market Stores mostly found on the West Coast which operates 160 locations alone. According to the "where to buy map" found on Veggie Mama's website, there's only one location on the East Coast at the Natural Foods General Store in Toms River, New Jersey. Knowing how powerful the Shark Tank Effect can be especially when the Fans get behind a product they love, I sure hope these stores are ready for an explosion of new business when people come out of the wood work looking for the Veggie Mama Popsicles. This is just one of those products that you really have to try and taste for yourself and then test on your kids to see if they'll like them as an alternative sweetened snack food. Having raised one Kid in particular were his taste buds are connected to his eye's and will not touch certain vegetables much less eat them, I have never known him to turn down a Popsicle. The Veggie Mama Garden Pops come in 3 flavors which is the Carrot Berry, Citrus Cucumber and the Sweet Potato Pie. On second thought and like I said he eats with his eyes, maybe it would be better to take the wrapper off first because a Sweet Potato Pie Popsicle might be a tough sell. My prediction is YES at least one Shark will invest in Theresa Fraijo and the Veggie Mama Garden Pops Business. This is the type of product that has potential getting into National Food Stores across the country especially with the Sharks help taking it to the next level. 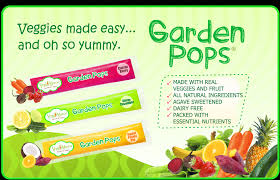 I have a finicky grandson who lives in Tampa & needs Veggie Mama Garden Pops. Any hope to get them near us? i wouldn't buy them unless they use organic fruits and veggies and non-gmo certified. we need these in Savannah, Ga. ! When are you getting into a store on the South East Coast? When are they coming to Arlington,TX I would love to have see them in Wholefoods or Sprouts.